Music Planet ends the year with a Mixtape introduced by Sir David Attenborough, with tracks from his double CD set of his own field recordings. And Lopa Kothari introduces concert sets from WOMEX 2018, the annual gathering of the world music industry held in Las Palmas in the Canary Islands - with performances from Haitian singer Moonlight Benjamin, and acapella polyphony group San Salvador from southern France. Sir David Attenborough first became nationally known as the presenter of BBC TV's Zoo Quest, a series based on expeditions to catch exotic animals for London Zoo. The programmes ran from 1954 to 1963, and in his spare time during the filming, Sir David made sound recordings of the local music, some of which made its way onto the TV series. He passed the tapes on to the BBC Sound Archive, who dutifully copied and preserved them all, and they are now being released to the public in their entirety for the first time. 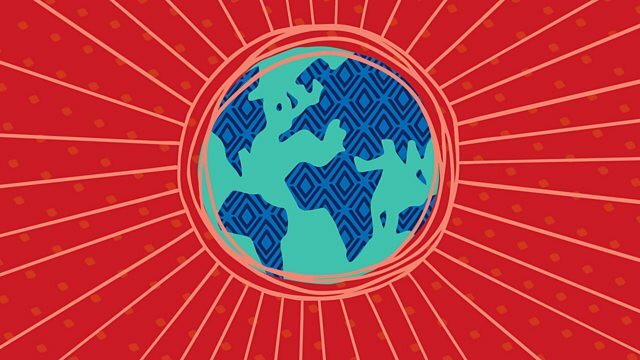 In this Music Planet Mixtape, Sir David introduces some of his favourites - including some sparkly harp playing from Paraguay, the chanting of his team's luggage-carriers in New Guinea, and the funeral gongs of the Dyak people in Borneo. David Attenborough - My field recordings from Across the Planet. Orchestra: Orchestra of the Royal Opera House, Covent Garden.